Precious metals stackers are buying copper to prepare in case metals are needed for barter and trade. 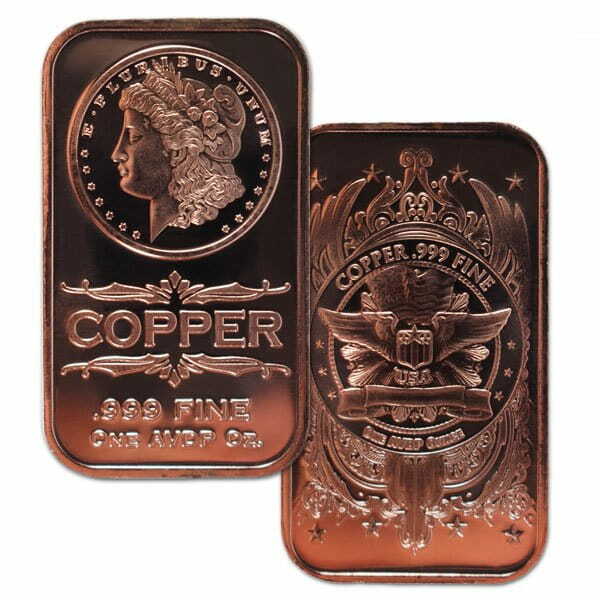 One ounce copper bars can fill an important gap for someone who already has silver and gold bullion. They are the answer to the question; "What happens if silver prices move too high to be practical for very small transactions?" Copper has filled that role in the past (think pennies), and it can fill that role again in the future if needed. Our 1-oz Morgan bars are also beautiful and affordable. 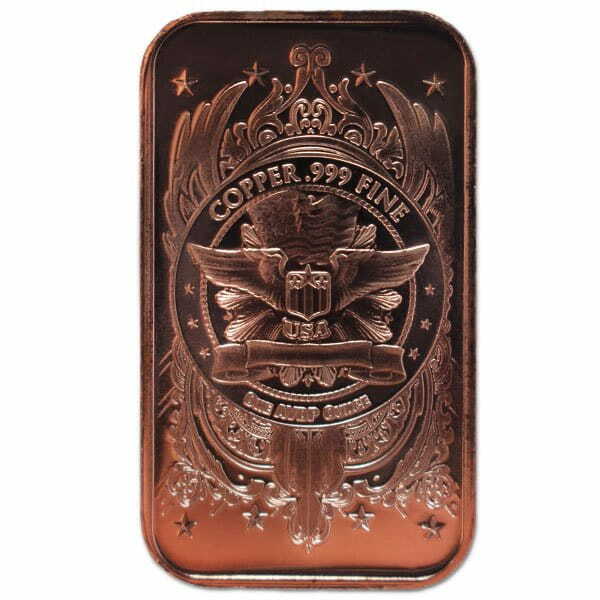 Each bar is minted from .999 pure copper, and clearly marked with weight and purity. They are manufactured right here in the USA by Osborne Mint - the nation's oldest private mint. The obverse side of the bar carries the Morgan head design made famous on US silver dollars minted between 1878 and 1921. George T. Morgan is the artist behind the iconic portrait of Lady Liberty wearing the Phrygian cap. As inspiration, Morgan sat 5 times with the model Anna Willess Williams, and declared her profile to be the most perfect he had seen. Came fast in delivery and well packaged. The bars look nice. 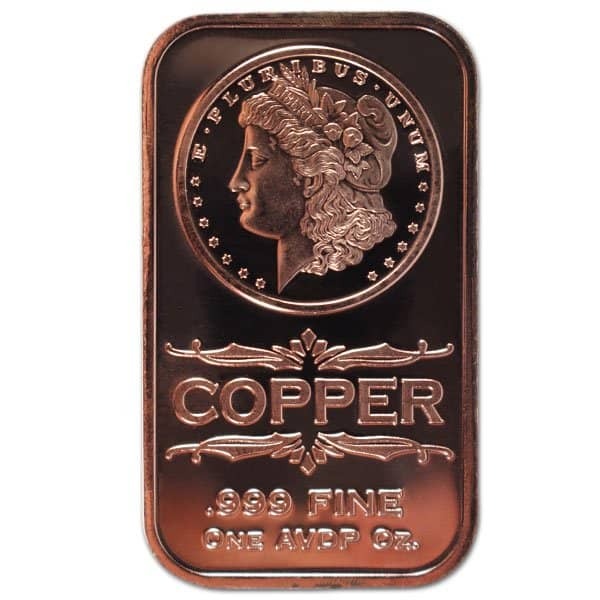 You can now sell your Copper Bar - Morgan Head, 1 AVDP Oz, .999 Pure Copper back to us online, at a price of $0.83 each!